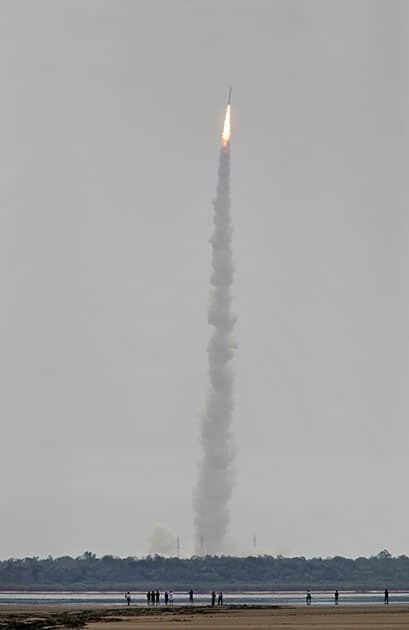 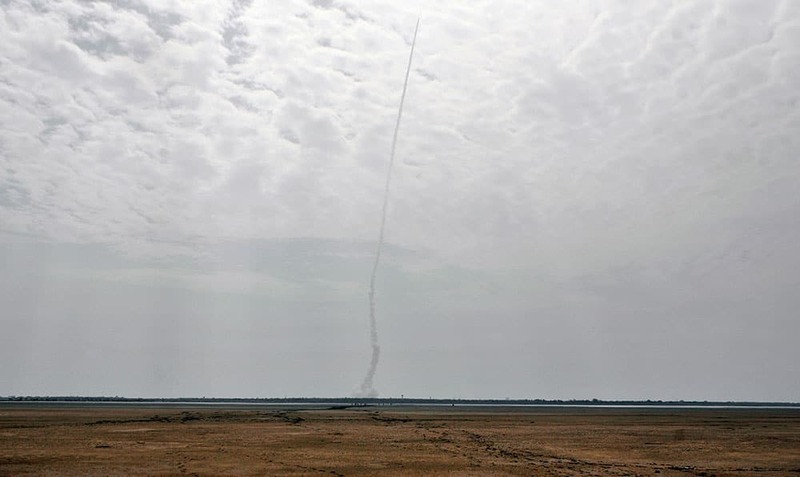 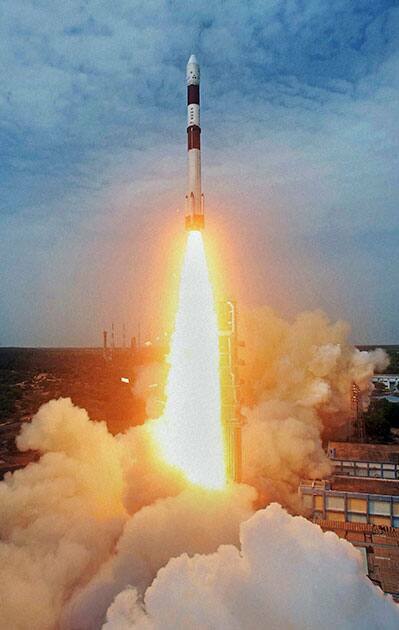 The Polar Satellite Launch Vehicle (PSLV-C23) rocket lifts off from the east coast island of Sriharikota. 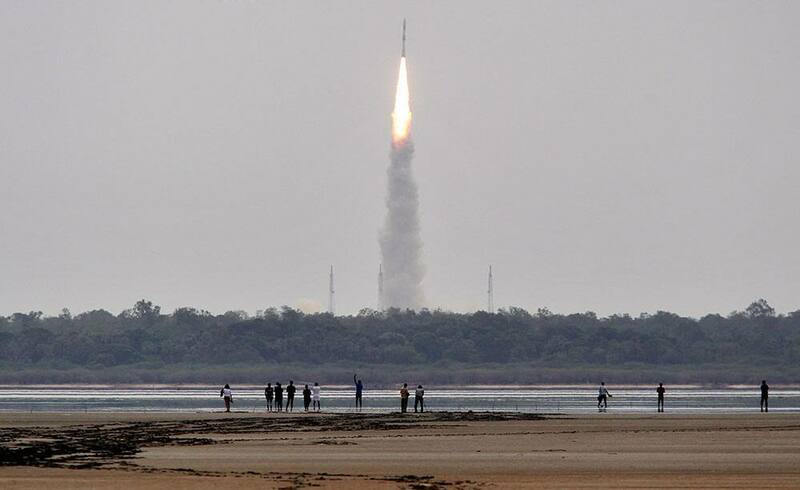 Indians watch the Polar Satellite Launch Vehicle (PSLV-C23) rocket lifting off from the east coast island of Sriharikota. 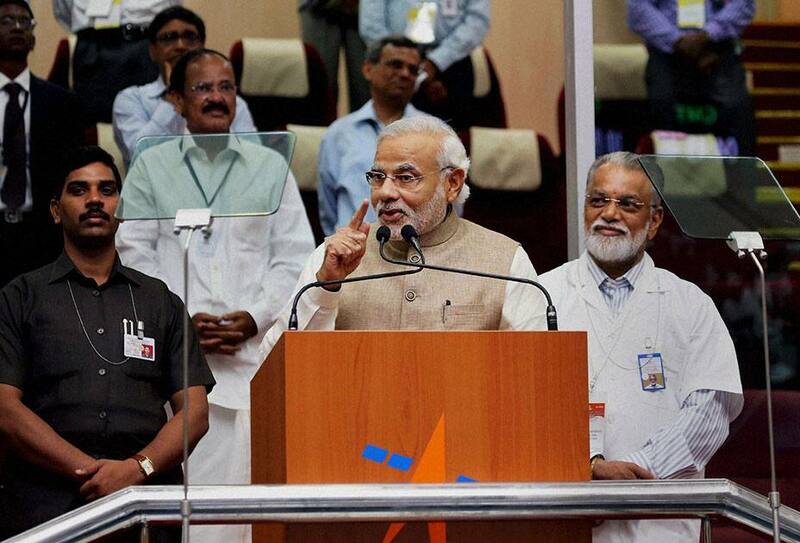 Prime Minister Narendra Modi speaks after the successful launch of the Polar Satellite Launch Vehicle (PSLV-C23) in Sriharikota. 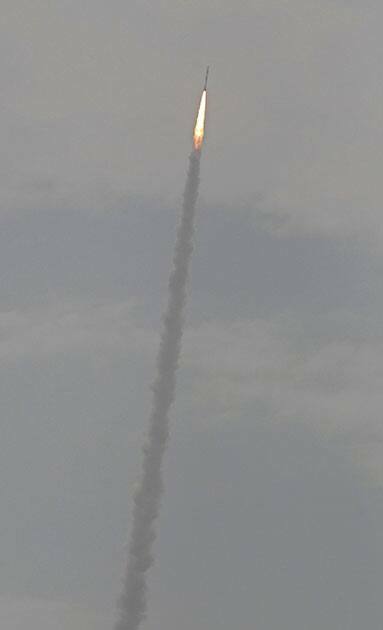 The Polar Satellite Launch Vehicle (PSLV-C23) satellite takes off during its launch from the Satish Dhawan Space Center in Sriharikota.